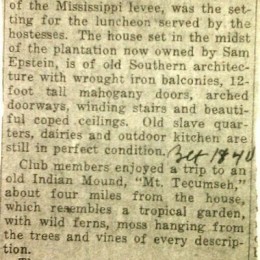 While doing research at the Arkansas History Commission in the Clara B. Eno Collection, which contains the source material for her 1939 book, Historic Places in Arkansas, I found a June 1935 article about the Lake Chicot Garden Club’s visit to Lakeport. 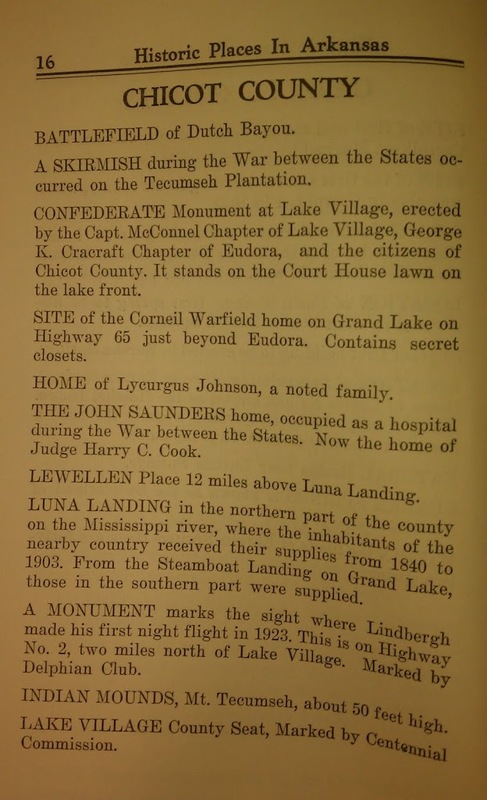 By 1935 Lakeport had been vacated by the Johnsons, who moved to Greenville, Mississippi, and sold to Sam Epstein. Frank Dantzler and his wife, Fannie (both originally from Macon, Mississippi), occupied the home and ran the plantation for Mr. Epstein. 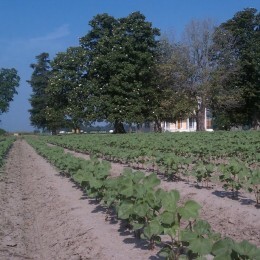 Mrs. Dantzler died in 1936 and Mr. Dantzler continued to operate the plantation until 1950. He died in 1952. Both are buried in Odd Fellows Cemetery in Macon. Commentary: The ornamental iron is cast iron, the doors are 10′ 8″ pine with a faux grain in oak and rosewood, and there is only one arch in the house. There was probably only one dairy and the “outdoor kitchen” was likely the smokehouse, since the kitchen, with a built in cast iron stove, is attached to the house. I’m very curious about the “old slave quarters”; is it the collection of building north of the house captured in a 1927 photo during the flood? 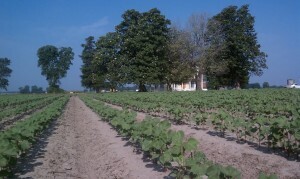 We have since decided these buildings date to after 1870, probably to the time Victor Johnson ran the plantation. Eno listed 11 historic places in the Chicot County (vs. 34 in her home county of Crawford). 1. Battlefield of Dutch [sic Ditch] Bayou. 2. A Skirmish during the War between States occurred on the Tecumseh Plantation. 3. Confederate Monument at Lake Village, erected by the Capt. McConnel Chapter of Lake Village, George K. Cracraft Chapter of Eudora, and the citizens of Chicot County. It stands on the Court House lawn on the lake front. 4. Site of the Corneil Warfield home on Grand Lake on Highway 65 just beyond Eudora. It contains secret closets. 5. Home of Lycurgus Johnson, a noted family. 6. 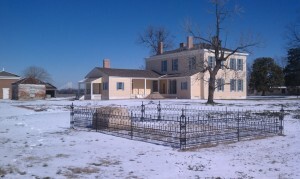 The John Saunder home, occupied as a hospital during the War between the States. Now the home of Judge Harry C. Cook. 7. Lewellen [sic Llewellyn] Place 12 miles above Luna Landing. 8. Luna Landing in the northern part of the county on the Mississippi river, where the inhabitants of the nearby county received their supplies from 1840 to 1903. 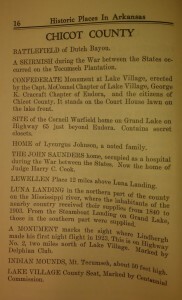 From the Steamboat Landing on Grand Lake, those in the southern part were supplied. 9. A monument marks the sight where Lindbergh made his first night flight in 1923. This is on Highway No. 2, two miles north of Lake Village. Marked by the Delphian Club. 10. Indian Mounds, Mt. Tecumseh, about 50 feet high. 11. Lake Village County Seat, marked by Centennial Commission. I plan on visiting Eno’s sites and updating their description. Check back for more information. Saturday Hours began June 4, 2011 and will continue until September 3 August 27, 2011. 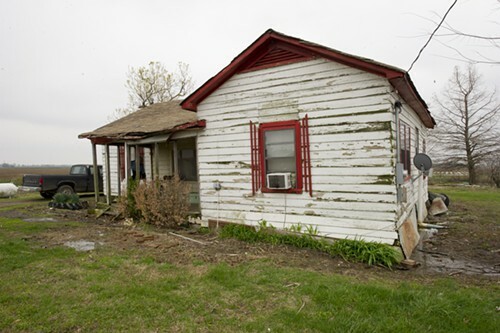 Friends & Johnny Cash fans — Help Arkansas State University and the City of Dyess preserve and open the Johnny Cash Boyhood Home to the public. 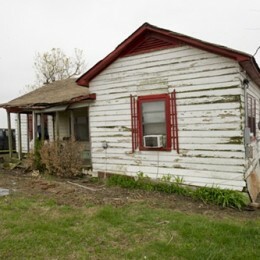 Vote to help us win $25,000 to go towards the restoration of the house that inspired and cultivated Johnny’s songwriting and music. 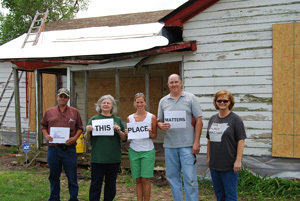 ASU and the City of Dyess were chosen from a national pool of applicants to be one of 100 historic “places that matter” who are eligible to win $25,000 to go towards the restoration of the Johnny Cash Boyhood Home. We are competing for votes with 99 other sites, so we’re trying to get our name and link our there as much as possible – please pass on to friends and family. ASU has recently purchased the boyhood home of Johnny Cash in Dyess. 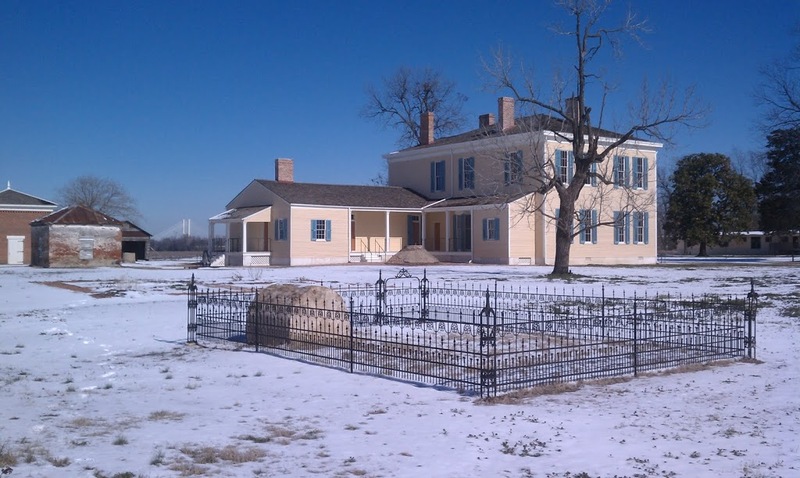 As one way to fund the restoration, we have been selected to compete for the “This Place Matters” grant through the National Trust for Historic Preservation for this site. It is a popularity contest to see how many votes each entry can receive. The first place prize is $25,000. Here is where you can help. If you will take a few minutes to go to: www.preservationnation.org/communitychallenge and register to vote for Arkansas State University and the City of Dyess, you can help us secure first place and stay there. It only takes a few minutes. You can only vote one time per email account but if you have more than one email, I would encourage you to vote with each account. As of today we keep moving from first to third and then back. Every day, visitors from around the world come to see the place where he grew up. But this is not the house that JC Cash lived in. His house was new, freshly-painted inside and out, and a dream-come-true for his family. We want to restore it back to the original and we can with your help. You have a little bit of time – until June 30th, so please vote. If you have already voted, thank you. I knew you would do it. And if you haven’t bought your tickets for the Johnny Cash Music Festival on August 4th, consider this your reminder, too.